With the smartphone race bustling beyond proportions, Lenovo has plans to launch as many as three new smartphones including one with a very big display and not to forget the rumoured Lenovo Vibe X.
Lenovo is expected to launch as many as three new handsets which include the Lenovo S960, popularly known as the Lenovo Vibe X, the Lenovo S930 and the Lenovo S650. The smartphones have displays ranging in the 5 inch region, with the smallest Lenovo S650 having a 4.7 inch display and the biggest Lenovo S930 having a 6 inch display. The Lenovo Vibe X lies in-between with a 5.5 inch full HD display. While the Lenovo Vibe X is powered by a 1.5 GHz quad core MediaTek processor with 2 GB of RAM, the Lenovo S930 and the Lenovo S650 are powered by a 1.3 GHz quad core MediaTek processor with 1 GB of RAM. The Lenovo S930 and the Lenovo S650 have an 8 MP rear facing camera with a 1.6 MP front facing camera, whereas the Lenovo Vibe X has a massive 13 MP rear facing camera besides a front facing 5 MP camera. 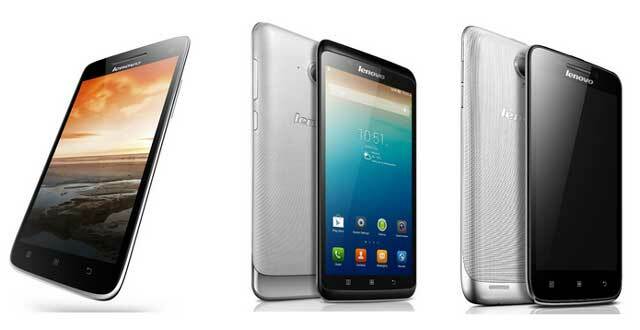 The Lenovo Vibe X is expected to be launched towards the end of the year priced at around $518. Meanwhile the Lenovo S930 and the Lenovo S650 are expected to be launched later this month priced at $427 and $366 respectively.